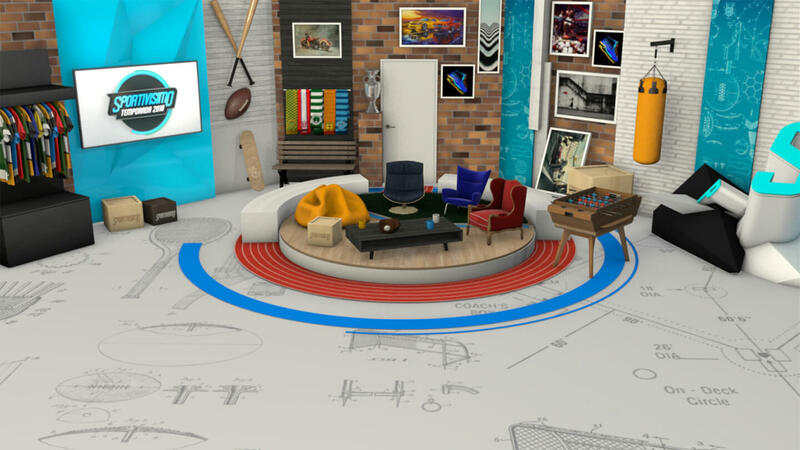 wTVision’s broadcast design team created the new virtual set and the original graphic line for the Bolivian sports show Sportivisimo, on Tigo Sports. wTVision has provided 2 other sets for Tigo Sports. Sportivisimo combines the best of sports with entertainment, in a live broadcast where guests and audience are invited to interact. A younger and fresher approach to football and its main protagonists. wTVision understood the identity of the show and delivered a consistent and creative TV concept, that fully respects the connection between Sportivisimo and Bolivian Football fans. 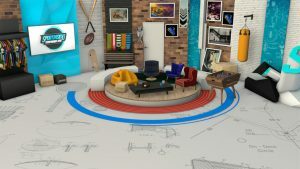 To create the perfect atmosphere and dynamics, the broadcast design team developed a realistic virtual set combined with a studio design targeted at a young audience, that intends to capture the joy of Bolivian football. The opening, on-air graphics and the show’s logo are all based on the same premise of a fun casual look. Sportivisimo was the third Tigo Sports virtual set designed by wTVision, after Noticiário and Laboratório Fútbol, for which wTVision also created the original graphic line. In all three shows, wTVision’s R³ Space Engine is being used as the real-time 3D graphics engine. The virtual sets were remotely implemented and adjusted with an online streaming connection between the Lisbon headquarters and Bolivia.